GOP Senate hopeful Tom Smith has consistently spoken out against tax increases on the campaign trail. But the Pa. Democratic Party says his record as a Plumcreek Township Supervisor in the 1970s undermines his credibility on the issue. Smith served as Supervisor in the late 1970s and early 1980s, and as President of the Board from 1978 to 1981. During that time, Democratic Party research shows, the Board maintained an existing local tax, increased the mill rate, and instituted two new taxes. Smith’s campaign says his votes have been exaggerated and taken out of context – and the fact that Democrats are targeting him confirms that Smith is a threat to U.S. Sen. Bob Casey. In each case, tax rates in the small Armstrong County municipality were in line or lower than neighboring local governments and instituted a decade later than most in Pennsylvania. In 1975, the Plumcreek board voted to increase the real estate tax rate from 6 to 8 mills. 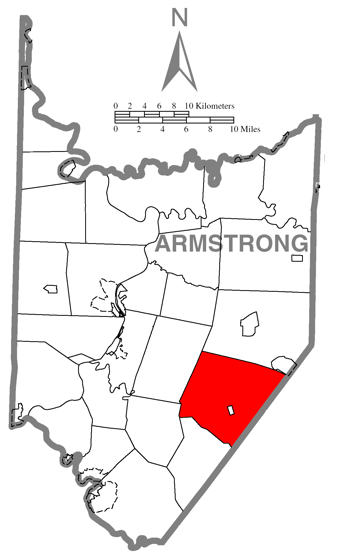 The average rate in Armstrong County at the time was 10.5 mills. The increase amounted to roughly $10 annually on a property worth $50,000. In 1977, the Plumcreek Board created an income tax. The levy was enabled and encouraged by Act 511, the “Local Tax enabling Act,” which passed the state legislature in 1965. Each municipality in Pa. levies such a tax at the same rate. Reports from the time indicate that no Plumcreek resident opposed the measure at a public meeting on the subject. In 1978, Smith motioned to create a 1 percent real estate transfer tax. It too was enabled by Act 511. A majority of Pa. municipalities at the time levied such a tax; 1 percent was at the mid to low range of the tax rate. The Pa. Dems note that Smith voted to continue an existing per capita tax on Plumcreek residents during each year of his service. The tax predated Smith’s time on the Board, and the rate did not increase during his tenure. Smith says his votes matched with what residents wanted. Born and raised in Armstrong County, Smith founded and built a mid-sized coal mining operation in southwest Pa. He sold the business in 2010 for tens of millions of dollars. “I’m very proud of the terms I served in Plumcreek Township. We had a budget, we lived within it, and I think if you check with the people of Plumcreek Township, they were very pleased, too,” Smith said. Each of those taxes is fairly standard, says Richard Vilello, President of the Pa. League of Cities and Municpalities. Vilello is the Mayor of Lock Haven. He said that in a township the size of Plumcreek (about 2,000 residents), the revenue most likely paid for police and firefighting services, paving and plowing roads. But the size of the taxes don’t matter, say the Pa. Dems, noting that the first three of the above four items would violate the “Taxpayers Protection Pledge” of Grover Norquists’s Americans for Tax Reform. Candidates taking the pledge agree not to increase taxes or create new ones without corresponding tax cuts elsewhere. In any case, the votes feed into a narrative of Smith that opponents have been trying to paint for months. Smith, 63, was a registered Democrat from age 18 until August 2011. But he has avoided criticism over his recent party switch thanks to a decades-long record of supporting conservative candidates and causes. Of over $250,000 in political contributions, only $2,400 went to a Democrat: Rep. Jason Altmire, in 2009. Altmire enjoys relatively solid support from the coal mining industry. Smith served as a Democratic county committeeman at the same time as he was the leader of the Indiana-Armstrong Tea Party Patriots, but was removed from the committee for supporting Republicans. Critics have had a hard time making the Democrat attack stick. They hope the tax votes will help bring that message home with GOP voters. Welch’s campaign is particularly interested in painting that picture. An entrepreneur from Chester County who was endorsed by the Pa. Republican state committee, Welch has his own partisan difficulties. He switched from Republican to Democrat in 2005, contributed $300 to Joe Sestak in 2006, and voted for Barack Obama in the 2008 Democratic primary before voting for John McCain in the fall and switching back to the GOP in 2009. The subject was front and center during Saturday’s debate at the Pa. Leadership Conference, an annual meeting of conservative activists, and frequently arises during forums and debates. As for Smith’s campaign, they say that claims by Democrats the votes mean little except that Smith is a front runner. The other GOP candidates are David Christian, a veterans advocate and businessman from Bucks County; Sam Rohrer, a former state representative from Berks County; and Marc Scaringi, an attorney from Cumberland County. I might suggest all readers shift their gaze down to the bottom of the article make a pick and get out and get them elected. The main 2 individuals discussed here seem to lack conviction or sometimes what you might call integrity. Great words there Scott, Yes Mr. Smith please come and debate Sam Rohrer one on one. I don’t think you can win that one, oh, that right he’s not won anything as a Republican, oh, let’s let the TRUTH come out with a state wide all TV coverage debate about the facts, not the lies coming out of the smith campaign. Show us your true side Mr. Smith. Are you afraid Mr. Smith ? I can’t hear you Mr. Smith. Sam Rohrer did vote for the pay raise (the first half you heard about from Tom Smith) but didn’t take a dime of it and successfully had it repealed (the part Tom Smith didn’t tell you). Tom Smith – a Democrat any way you look at it until a couple of days prior to registering for the Republican Primary seems to be pretty good at manipulating some of the facts to people that don’t take the time to look at all of the facts. I challenge you to look at all of the facts before coming to a conclusion. Find out this fact: Many debates were cancelled by Tom Smith. Why? Not a fact but guessing it was because it clearly showed he doesn’t know the issues enough to be in the Senate. Ask Tom Smith to have one final debate with Sam Rohrer and see what he says. And who is Tom Smith running against? 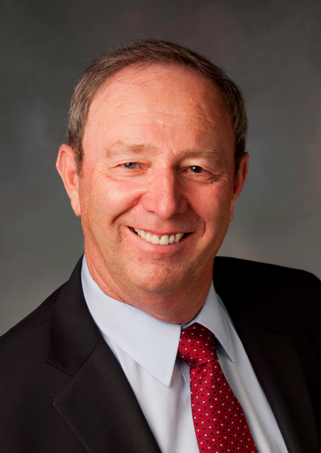 Why of course, Sam Rohrer, who violated his oath of office, voting on the illegal/unconstitutional 2005 legislative pay grab. That’s who. 80’s- How about the three R’s bro? Reagan Payroll Tax Increase for SS Mirage Fund and then Ridge and Rohrer’s pension increase, cola increase, destabilizing very healthy retirement systems- PSERS and SERS- leaving the state in a fiscal mess because it wasn’t paid for. If this is the best they got to throw at Smith they are grasping at straws. Reagan supported the largest tax and spending increases in American history during his first term. Cut taxes in 81. Raised em in 82. Look it up. Reagan was also a pro-FDR, pro-Truman Democrat. I guess we’re fortunate Reagan isn’t running against Sam “31% Pay Raise is Conservative” Rohrer. Good point, Tea Party Patriot. When Ronald Reagan was running for President in 1980 to win the Cold War and drag our nation out of the horrors of socialism, Tom Smith was a proud DEMOCRAT POLITICIAN. We need a conservative in the Senate, not an opportunist. Tom Smith was a Democrat when Jimmy Carter was selling out America to the ayatollahs, when Bill and Hillary’s corrupt White House tried to take over healthcare, when Barrack Hussein Obama passed a trillion dollar stimulus. Only when it has become clear that our nation is FED UP with big government liberals did Tom Smith become a Republican. He is trying to buy his way in to the good graces of principled conservatives and we need to say NO! @RePublius. I believe you are missing the point. It doesn’t matter if it was years ago, it was still an increase in taxes. It doesn’t matter that it was 2k or $2, he still supported a democrat over a true conservative. And even if a true conservative candidate gets 3% (which won’t happen) my vote still goes to someone who stands on principle and not just the person who is the least corrupt and immortal of the millionaires. Veritas, you are saying that $2,000 out of the $250,000 cited by Politics PA proves he is a crony capitalist? That seems foolish to me. So, the other choices are Sam Rohrer (voted for an unconstitutional pay raise, voted to increase his own pension), Steve Welch (donated to Act Blue, does not have a decade of support for conservatives afterward), or candidates who will end up with 3% of the vote. This should be a no-brainer for Tom Smith. Yes it is true Smith gave money to conservatives. He also gave it to DEMOCRAT Jason Altmire over a true Pro-Life Conservative Keith Rothfus. That race was lost by slim margins. We need someone who supports principles not just personal business interests. No more crony capitalist fake conservative democrats! Stop trying to buy our democracy. Julian R is, obviously, clueless about campaigning. A bus identifying the candidate is cost effective method to get his name and ideas out to voters when media is less than focused. Voter Contact requires money and productive cost effective investment to achieve a goal – Voter Contact- is to be commended. How many checks has Julian R written. If Julian R thinks NOT spending on a political campaign can lead to victory, I think he is misinformed. What were you doing 40 years ago? If this is the worst anyone can say about Tom Smith, then we have to vote for him. As for being a registered Democrat in Democratic Armstrong County, how odd is that? More importantly, Tom Smith contributed more than half million to conservative candidates in including Pat Toomey in 2004 and Sam Rohrer in primary in 2008. Correct me if I am wrong. I have not done independent research. How a person spends his or her money reveals a lot about his or her priorities. Tom is unpretentious and lives a modest lifestyle. Tom Smith has chosen to spend his money on challenging Union Financed Obama voting Bob Casey. How many of us can say we have chosen to spend our money on challenging Progressives and Liberals who are bankrupting our country. There is a lot of rhetoric and little cash from the Tea Party or conservative base. Tom Smith is covering for a lot of us. What I’d like to know is how Smith is running for U.S. Senate at a time when we are facing crushing debt and need a senator who understands fiscal conservatism, but has just purchased a luxury tour bus, for half a million dollars, painted his face on the side of it, and is flaunting his spending across the state like he’s a rock star. He doesn’t get it. We don’t need to see him in a luxury ride. We need to see his fiscal restraint. This is indeed shocking. That a man of means would volunteer to be a lowly Township Supervisor! Seriously, we’re now holding Tom Smith responsible for what he did in 1974? Why not asked if he voted for Eisenhower? I’m more apt to look at the link above citing his $250,000 in donations to conservatives and Republicans over the past decade. The only candidate worse than tax raising Smith is pay raising Sam Rohrer. There is no way that a lifelong member of the Democrat party or someone who is that cavalier with the citizens’ money should be in any elected office, let alone the Senate. With taxes already far too high in PA and across the US, why would we elect a politician with a proven history of raising taxes? Not to mention one that never even voted in a Republican primary…I understand that Tom Smith wants to run for Senate, but I think he would be a better fit in Barrack Obama’s Democratic Party. Tom Smith is a lifelong democrat who votes for and creates new taxes. How is that conservative. The only context that is needed is that Tom Smith is for more taxes. In my book this drops him to the bottom of the pack. We need a constitutional conservative to beat Casey, not a Pro-taxes lifelong democrat.